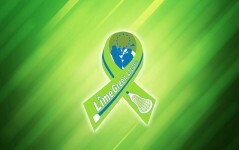 Lacrosse For Schools is a LimeGreen Lacrosse initiative to help growing and improving the future of the European Lacrosse sport, the youth. By getting information of countries like England that have a school lacrosse program and people that are familiar with the subject we want to develop a program to successfully integrate lacrosse in schools. With this initiative we not only aim for Germany but any European country that is interested in building up a program like this.